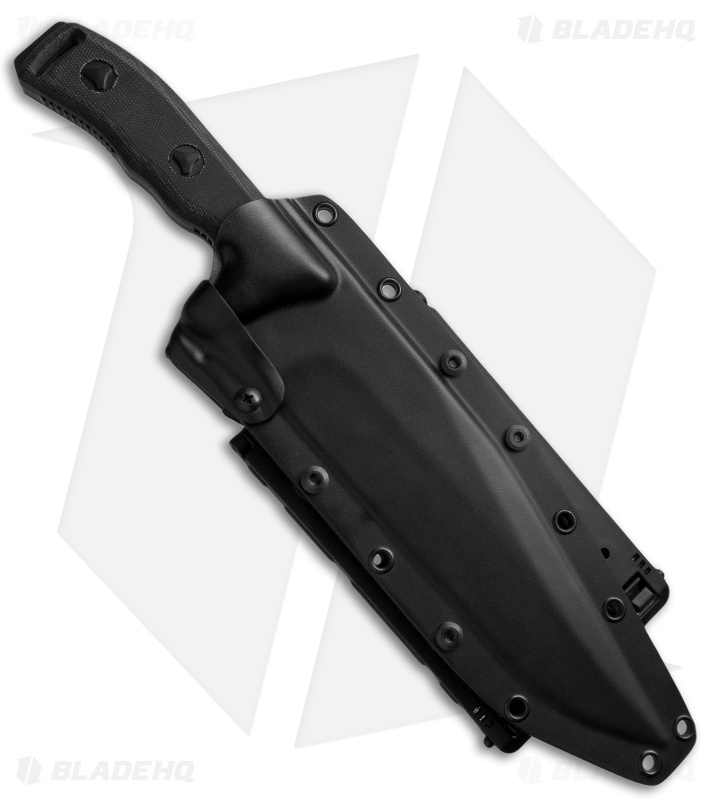 Epic size and fantastic curves combine with excellent ergonomics in the Microtech Arbiter fixed blade. 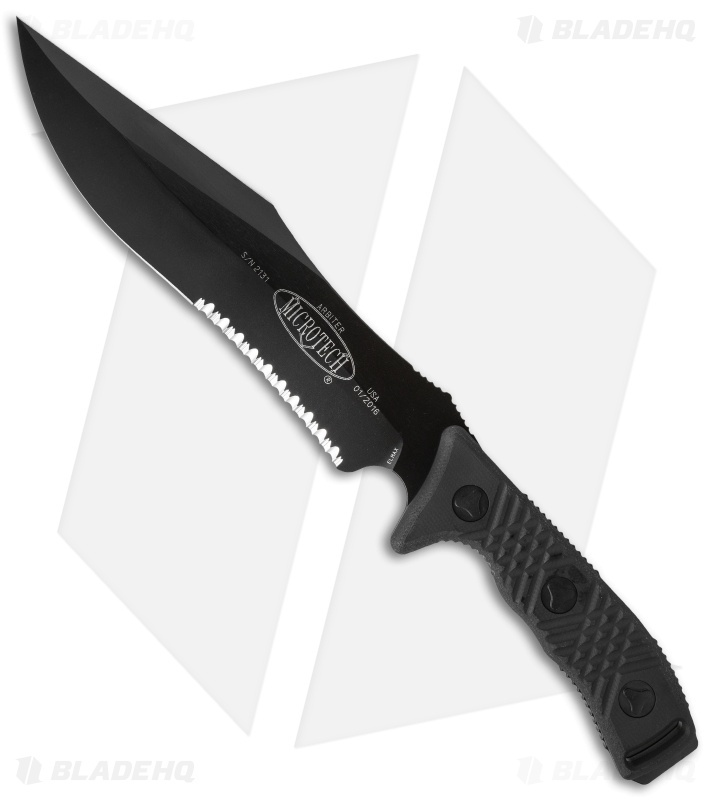 This large knife boasts a partially serrated black finished clip point style blade with an elegant recurved primary cutting edge and a secondary upper cutting edge up top; both converge to form a slightly upswept tip. The Arbiter has comfortable scales, fastened by tri-angle hardware and the tang has a slotted lanyard hole and extended breaker pommel. This is an impressive knife, one that creates perfect harmony between user and instrument.